Hi, Good Morning. Thank you, friends and viewers. Today I will post how to make peanut powder recipe. Peanut powder or palli podi is another variety of powder. We Telugu people love powders to substitute chutneys with rice. Spicy, tangy powder along with a drop of oil or ghee is really awesome to enjoy the night dinner. Whenever we feel like not cooking anything these powders are really helpful. Of course, nowadays nobody is coming to other's houses without notice, but in my childhood days, it was like that. People use to come home without notice and join us for lunch or dinner accordingly. And sometimes people used to come in the evening and stay up till dinner, so my mom's slogan was that if you have kandi podi and rasam in the pantry you can feed any number of people. So any podi or powder come handy in such hard times. We have a collection of podis in the blog, you check here for them also. It is yet another simple and easy dish to make. Serve it with hot piping rice and a drop of ghee. 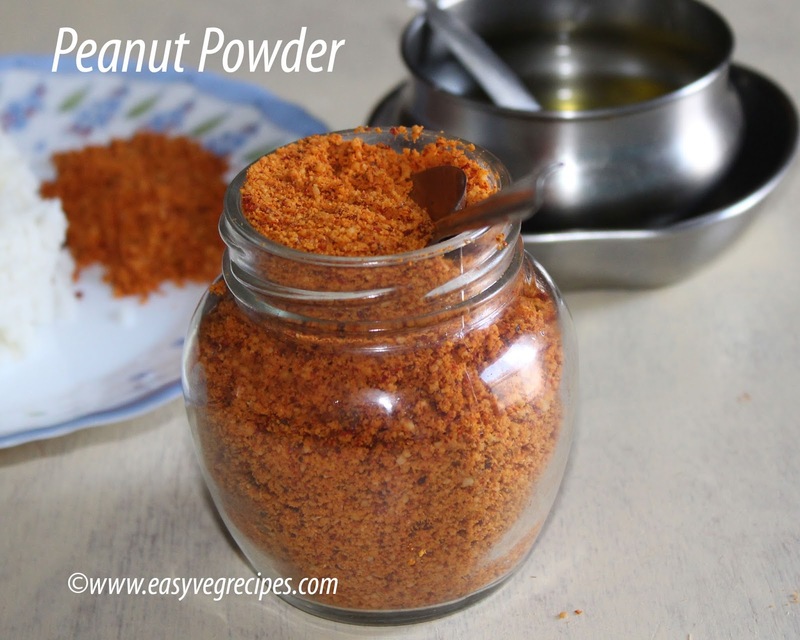 Peanut Powder -- combination of tangy tamarind and sweet peanuts added with spices. Dry roast peanuts and remove skin. Keep it aside. Heat the kadai, add a spoon of oil and roast red chillies till they turn a little dark colour. Keep them aside. In the same kadai, roast cumin seeds and tamarind. Need not add oil to it. In a blender jar, combine red chillies, cumin seeds and tamarind. Grind them to make a coarse powder. Add salt, peanuts and again grind them. Lastly, add garlic cloves and press whip or pulse button in the mixer jar. Store this powder in an air tight container. This powder lasts for 15 days to one month. 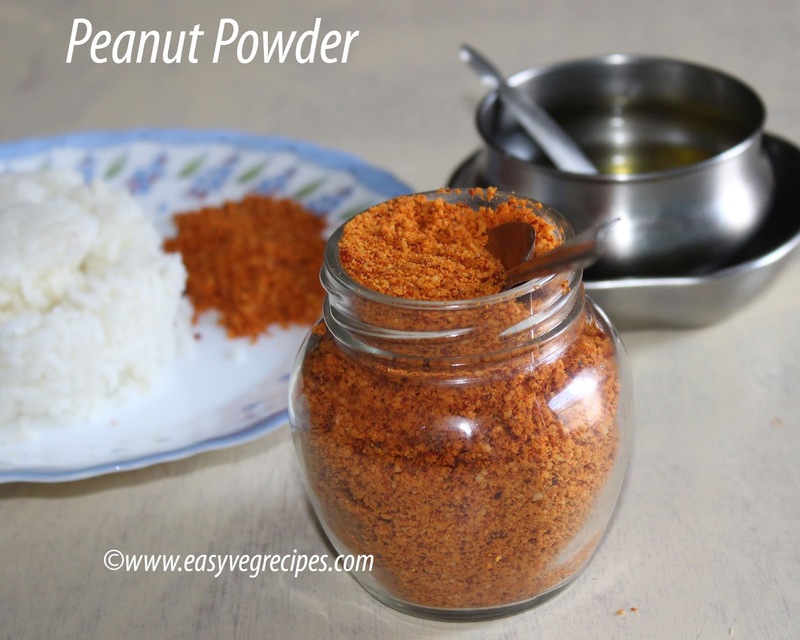 Serve peanut powder with hot piping rice and a drop of ghee. For more podi recipes click here.Thank you for visiting my blog. Hope you liked all my recipes. Any feedback and comments are appreciated.